In Los Angeles, California, utility companies typically supply hard water; homeowners who prefer soft water must find a water conditioner on their own and have it installed at their house. At RainSoft, we make this process incredibly simple. We offer two different state-of-the-art conditioners, and all of our water softeners are assembled in the United States and are Tested and Certified by the Water Quality Association. No matter which model you choose, you’ll notice immediate improvements in the quality of water throughout your entire home. The first benefit you’ll find after having a water softener installed is that your water is noticeably “softer” to the touch. Over the following days, you’ll find that your dishes are cleaner, your laundry is brighter, and your bathtub is less prone to grime. This is the result of our conditioner technology, which replaces hardness ions (calcium and magnesium) with softer options such as sodium or potassium. Hard water leaves deposits throughout the inside of your water-using appliances, which places a strain on them. With a softener, your water-using appliances (i.e. dishwashers) work more efficiently, draw less electricity, and require fewer repairs. Hard water buildup can quickly wear down your plumbing. Softened water from your home water conditioner won’t leave buildup on your pipes – which in turn helps them last longer! 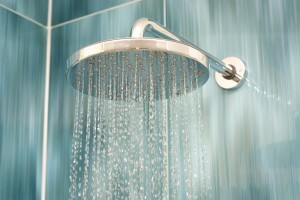 Hard water works poorly with shampoos, soaps, and detergents. With conditioned water, you can use less of your favorite cleaners and they will work harder than they ever have before. Want even more long-term savings? In addition to a water conditioner, your authorized RainSoft dealer can tell you about a whole-house problem-solving filter to help you with specific issues like iron or sulfur, plus a drinking water filtration system so you’ll have an unlimited supply of refreshing water available from your kitchen tap! To learn more about getting a water conditioner installed at your Los Angeles, CA home, call your local authorized RainSoft dealer today.